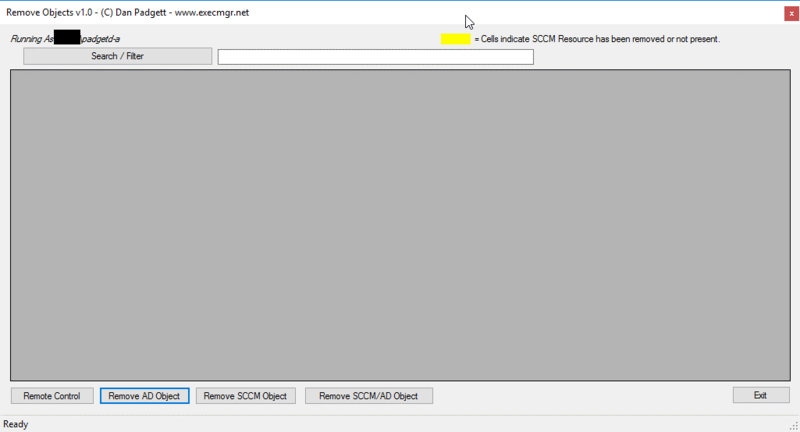 If you are like me and use “All Unknown Computers” to deploy your OSD to you will also be fairly familiar of making sure you have cleared an object from the SCCM Database before trying to re-image, otherwise … well its not Unknown now is it? The “Remove Objects” tool is written in PowerShell and compiled. 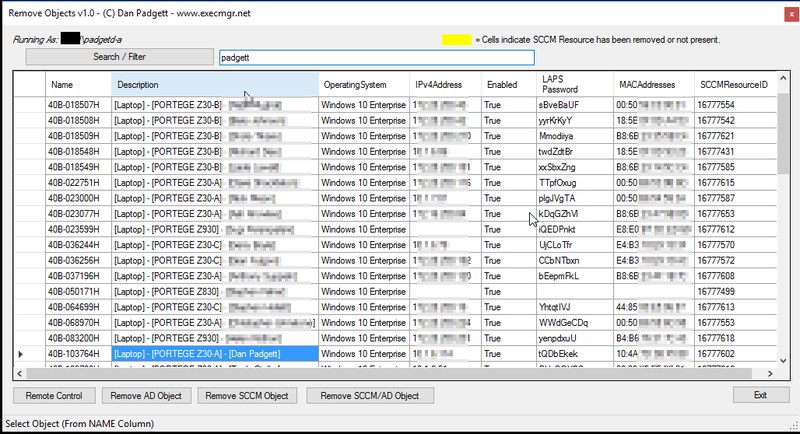 The tool essentially looks at all computer objects (taken from settings file), does a lookup in AD for these objects, then scans your SCCM instance for the same name. It will then merge all the information together. You will get an output file stored in the same location as the executable, this will be recreated each time the “search/filter” button is used, this is used in case you face issues with objects not being found. I have provided a “InstallRemote.cmd” which would copy these files to the default path in C:\Program Files (x86)\ConfigMgrConsole\bin\i386 . I haven’t included the actual remote control files in my download as these are copyrighted. All options chosen will prompt for confirmation, except for “Remote Control”. 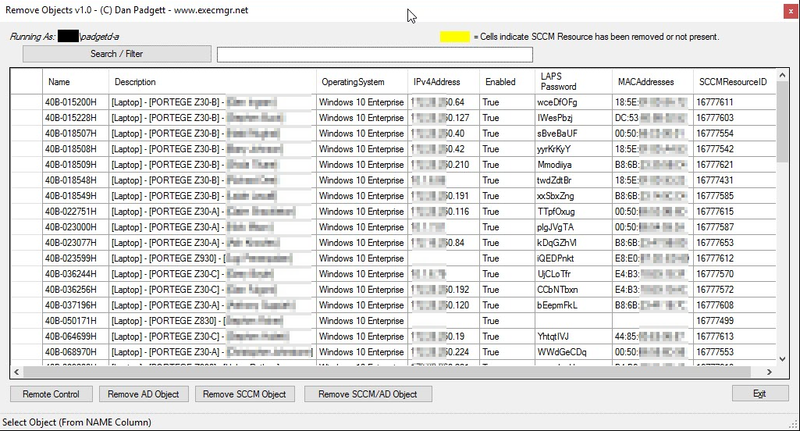 Cells highlighted in yellow indicate that a computers SCCM resource ID has been removed or not found. This would happen if you were to use the “Remove from SCCM” option only. Be sure to read the “readme” file in the download package for all T’s and C’s. All efforts have been put into testing this application. Full code can be viewed here – Note this is created with PS studio therefore all object controls are held separately, if you would like the full code export with object controls, let me know. Hello, i m unable to download your nice script since OneDrive, could you send me by email, please ?